In this Second Edition, which was launched in April 2015 the information and statistics have been updated. The book, which has sold over 55 000 copies has received rave reviews from around the country since it was launched. It is a visual cacophony of all that is unique, exceptional, and noteworthy about South Africa: its heritage, its people and its heart. Irrespective of age, race or gender, the book is sure to be enjoyed by everyone – cynic and enthusiast. 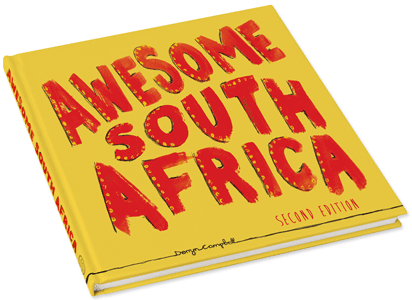 The book is available at major bookstores, directly from the contact us page on this website or via the shopping cart on awesomesa.co.za.